There is a paucity of inter-personal recognition in today’s day and age. Much of the time, life-involvements prohibit us from recognizing the positive efforts of those around us and providing a thumbs-up for a job well done. Although it seems a given to acknowledge those who put their shoulder to the wheel and demonstrate success, distraction often leads to non-action and lost opportunities. A directed ”conscious” effort to see and reward human excellence is required, yielding positive energy (Chi) for the giver, for the recipient, and for the world at large. It’s rare that a new phrase or metaphor works its way into the English language that nurtures a higher level of communication. 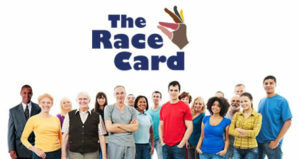 But even rarer is a term that provides a bridge towards the generation of energy of a positive kind. “That’s Crispy” is such a phrase. It’s a term that means “job well done”. It’s a means by which we can celebrate the positive side of humanity by recognizing in others their efforts to succeed. That’s Crispy is a unique way of offering kudos for the efforts that make us better people. The struggle to succeed is always a difficult process. Anyone can be rewarded with a That’s Crispy accolade at any milestone along the way. That’s Crispy recognition can be given to one business associate from another, from a parent to their child for educational accomplishment, to a law student who has passed an important exam, to a neighbor completing that impressive home improvement, or to a Yoga practitioner demonstrating improved skill and understanding. The sky’s the limit. Anyone is eligible at any time. 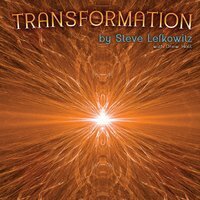 Listen and Purchase Steve's new Original CD, "Transformation"